I absolutely love to shop. 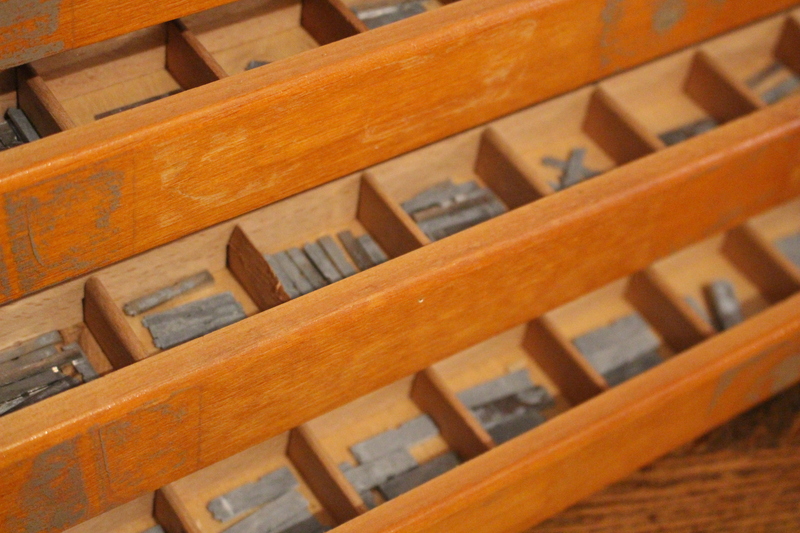 Especially for things for my home. What girl doesn’t? 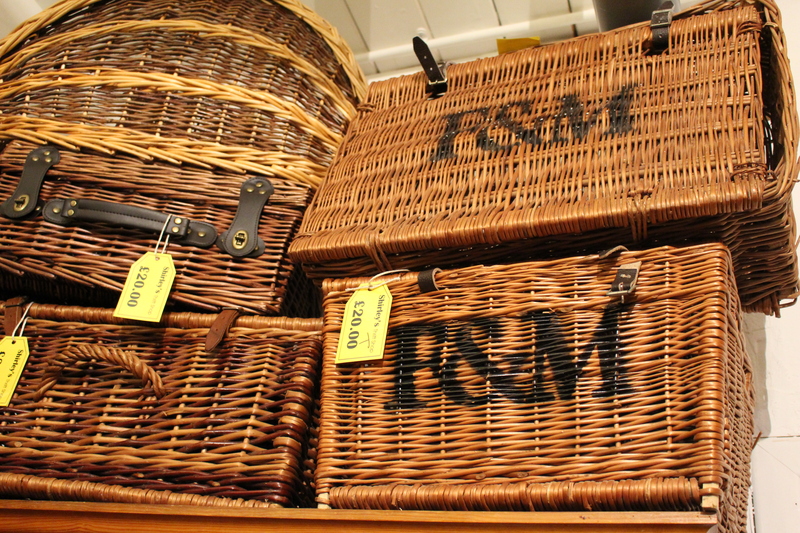 But I don’t mean for things that you can find in department stores or most run-of-the-mill high street home stores. I, like most people nowadays are in the hunt for something more interesting, more unique and altogether more fun. 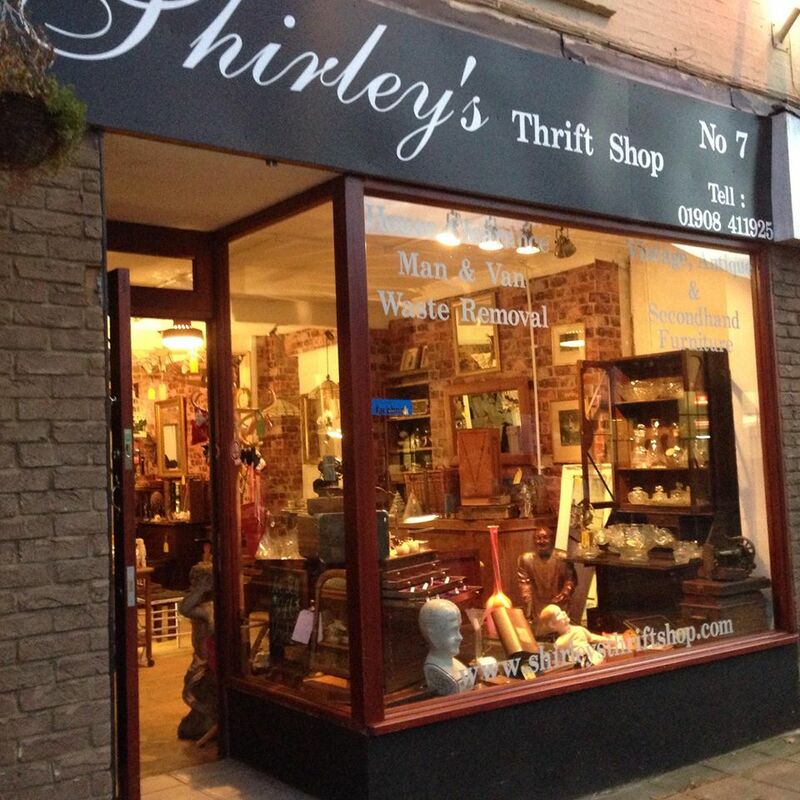 Now there’s a quirky, little independent shop on the main road through Wolverton called Shirley’s Thrift Shop which is an absolute treasure trove of ideas and things you can fill your home with. 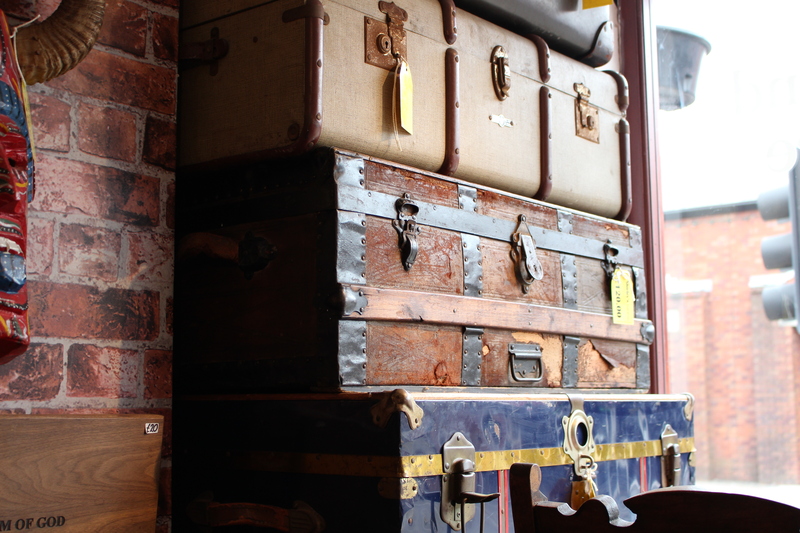 Opened in March 2014, it’s now firmly established as the go to place in Milton Keynes for a quirky mix of vintage, antiques and bric-a-brac. Visiting this shop is an absolute pleasure. There’s so many items to see and lots to rummage around in and on bank holiday Monday my secret sources are telling me they are having a SALE so they can make room for more and more lovely stock. So even more reason to avoid the overpriced parking in the city. 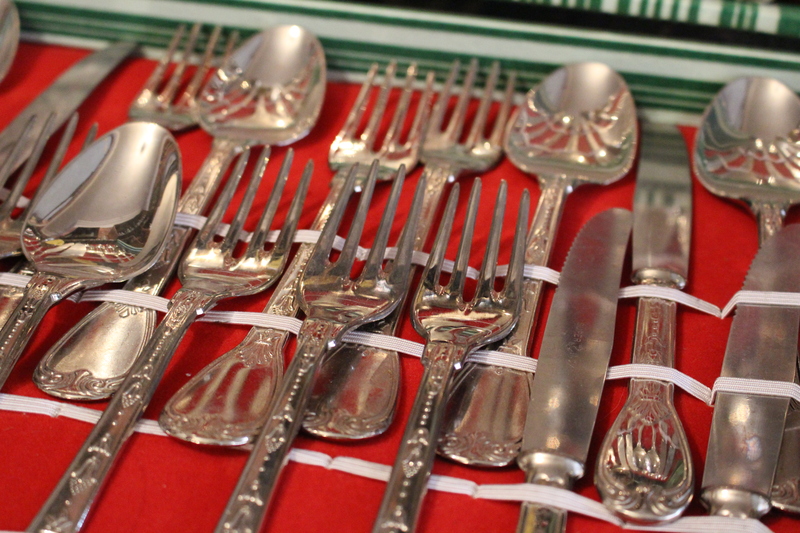 Shop local and see what treasures you could uncover at a great price. 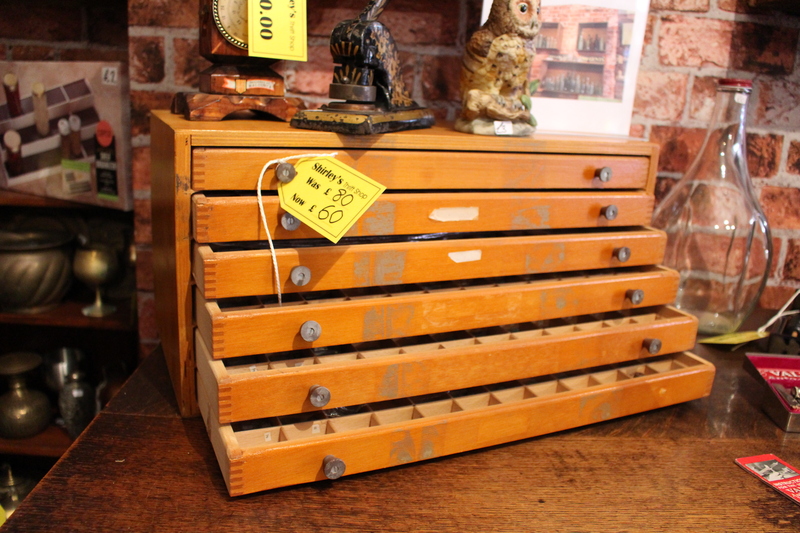 Take, for example this beautiful printer’s chest (below) that’s been marked down from £80 to £60! I could imagine it given a new lease of life in a shabby chic kind of way and for that you’ll need PAINT. 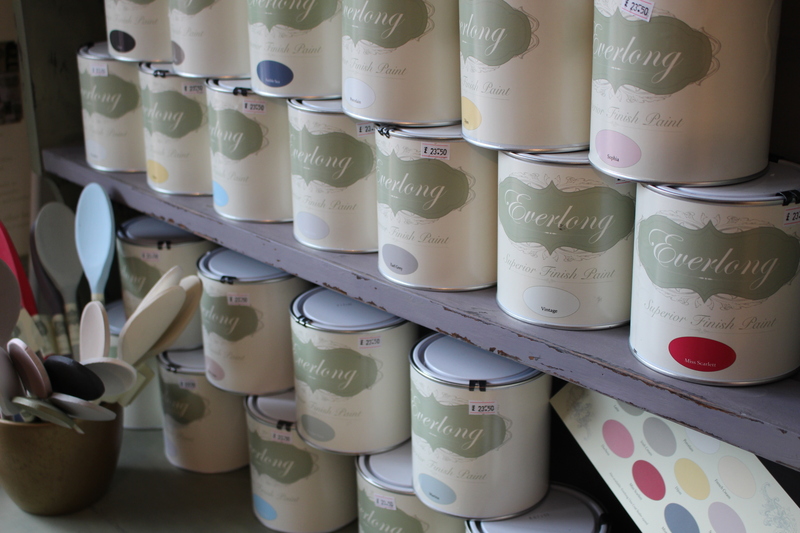 Shirley’s Thrift Shop have just become an official stockist of Everlong chalk paint, which requires no sanding or waxing – crazy! There’s a piece of furniture on show so you can see the hard-wearing finish and 20 shades to choose from so if restoring furniture and giving it a new lease of life is your thing – this could be your thing.